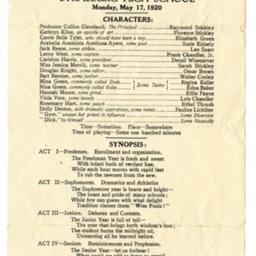 Program for the Strasburg High School's Senior Class Play "Some Class" held on May 17, 1920. Folder 3.11: Strasburg High School Class Play, 1920, Lichliter Collection, Truban Archives, Shenandoah County Library, Edinburg, Virginia. 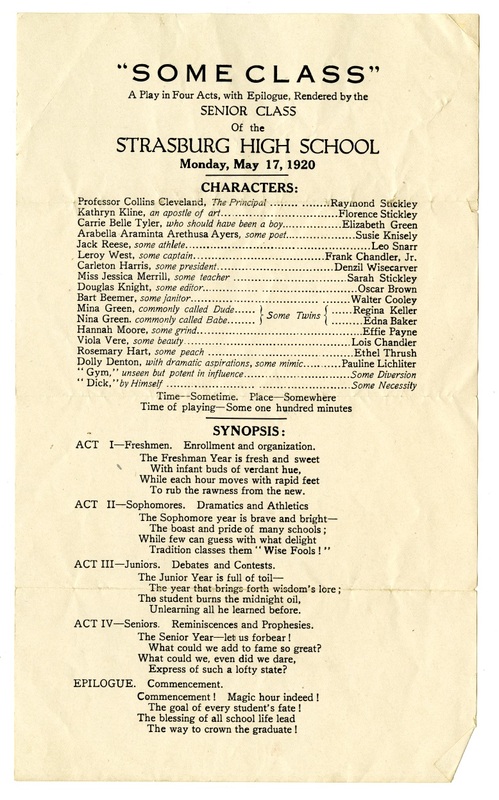 Unknown, “Strasburg High School Class Play,” Shenandoah County Library Archives, accessed April 22, 2019, http://archives.countylib.org/items/show/11758.